Indirect spend has often seemed to be the Rodney Dangerfield of procurement, never getting the respect it deserves. Imagine a manufacturer that needs to purchase complex equipment to produce its core product allowing a manager in a satellite office to make that purchase. Can’t imagine it? That’s because it’s not likely to happen. Capital expenditures, like major equipment purchases, are handled through complex negotiations and contracts between the procurement department and the supplier. However, when it comes to a company’s indirect spend the scenario above isn’t all that remarkable. Indirect spend has, for too many companies, been undervalued as a place where companies can realize efficiencies in both cost and time. Because the price per unit for these indirect expenditures is often relatively small, as compared to capital purchases, control is sometimes relinquished to people other than those in procurement. 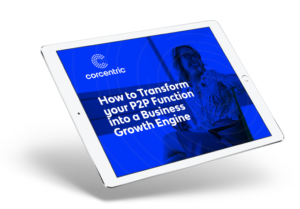 But the reality is that your company spends far more on indirect purchases, those essentials that enable your business to maintain its day-to-day functions, than you might imagine. That’s especially true if you have multiple locations that utilize these products. How much can you save? In an article about tail spend (a smaller segment of the indirect spend category), Accenture found that, when looking at their customers’ indirect spend, approximately 10 percent fall into the tail-spend classification. They estimated that there is a waste of around 15 percent in that category, meaning that a billion-dollar company will waste about $15 million annually. By extrapolating that number to include all of your indirect spend, you can see the potential savings are even more significant. But in order to realize these savings, companies will need to give indirect spend more respect…and that means making sure that procurement has more control over the process. This is especially important for companies that have multiple locations throughout the country. One of the areas where companies stand to lose the most in indirect spend is in price and contract compliance. It’s difficult to guarantee that the price an office in Cleveland pays for Staples products is the same price that an office in Miami would pay. That’s why companies that acknowledge the possible unlocked value in their indirect spend have adopted digital solutions that give them the visibility into every transaction made between the company (regardless of where the purchase is made) and the supplier. By automatically populating transactions with the correct contracted pricing, the potential for over payment is eliminated. Today, more than ever, executives must have a full understanding of where their cash is at any given time in order to optimize their working capital management. Since, other than salaries, most of that cash is used to purchase goods and services, procurement has taken on a greater role than ever. And within procurement, indirect spend is finally being given the respect it deserves.